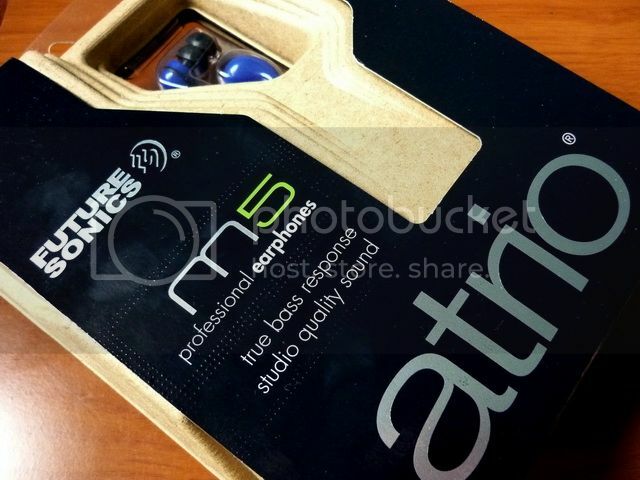 Almost 3 years ago I picked up my long dreamed pair of Atrio M5 after the reversion 2 reached the Asian shore. It was the tale about the legendary subwoofer-in-the-ear that attracted me the most, and it certainly wasn’t disappointing at the bass performance. But M5 rev2 wasn’t really turn out to be the greatest dynamic transducer based IEM as I once thought it was. In fact, M5 rev2 didn’t sound particularly impressive beside the hard hitting bass. Still, it is quite a smooth (if not darkish) and relaxing IEM to listen to and serves a good reference point of what a basshead IEM should measure to. Naturally I am slightly skeptical when I heard that there will be a new Atrio M5 with a new MG7 driver. Future Sonics, as low profile as they usually are, didn't even do any promotion or had a big press release on some convention. In fact, my inquiry to the customer service about the difference between the old and new Atrio M5 is simply: the headroom is improved so it is a little more detail – doesn’t seem like much, right? Well, that’s the assumption I had till I eventually picked one up myself, and how wrong that assumption is! The new MG7 based Atrio M5 is a totally new beast of its own! Cable: 51" (1.3m) with gold plated 3.5mm plug. 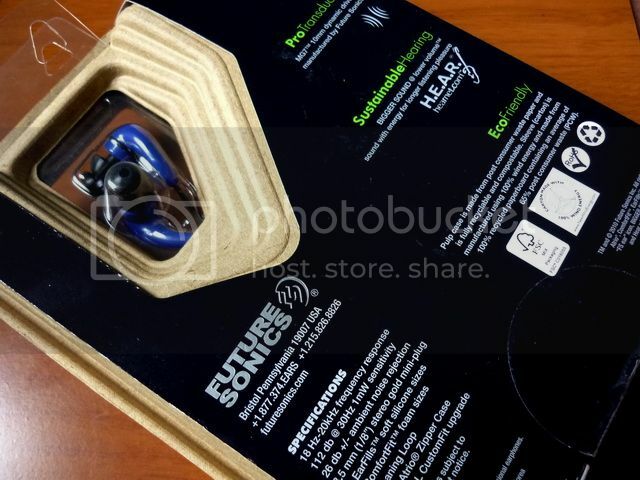 With market as a whole heading for more eco-friendly manufacturing process and packaging, Future Sonics too adapts a green packaging for their new Atrio . 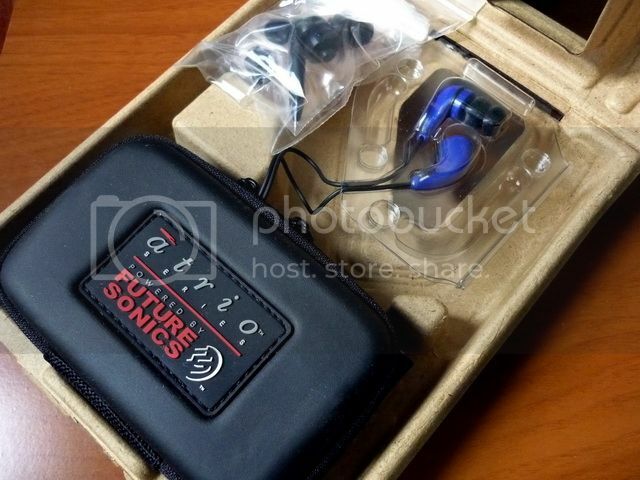 It is basically a hard paper box with a printed paper warp and a little of see through plastic to show case the earpieces. Inside the box, the included terms are identical to that of the old Atrio (unless you order the new special edition, which comes with a different looking hard case). 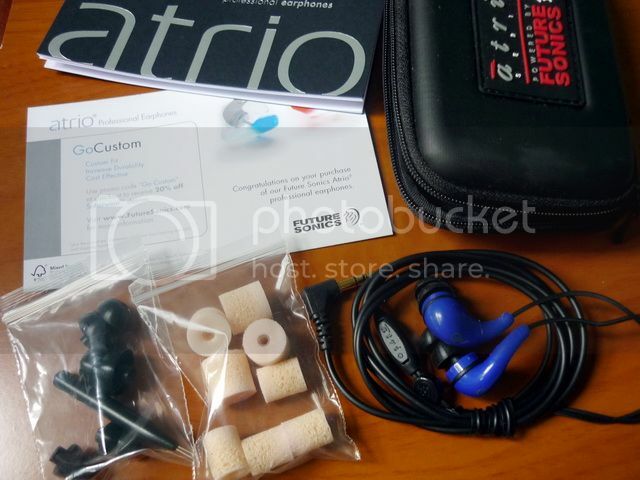 There is the specious hard case, enough not just for the IEM but also a small DAP, three pairs of silicone bi-flange, 4 pairs of foam tips (two of small and large each), a earwax cleaning tool, and manual. Build quality is pretty much the same as the old Atrio, as all the design and material are the same. In fact, you can’t really tell the old and new M5 apart by simply looking at them, hence the reason why I bought a different color version this time. The earpiece is in the classic curved-teardrop shape of the Atrio line. For those who are new to Atrio, the silicone eartips can be a little irritating at first use, much like the tri-flange on Etymotic. But you use give it some time to absorb a little of your skin oil (a little baby oil works too), it will eventually soften up like more silicone eartips. The isolation is actually quite good – better than average though not quite the most isolated yet. If you don’t like the included foam tips or want something a lot more durable, you can try using Shure black foam (olive) on Atrio as well. The cable is the soft rubbery type and since it is the same as the old model, I can say in good confident that it is a fairly durable cable that doesn’t harden up easily. 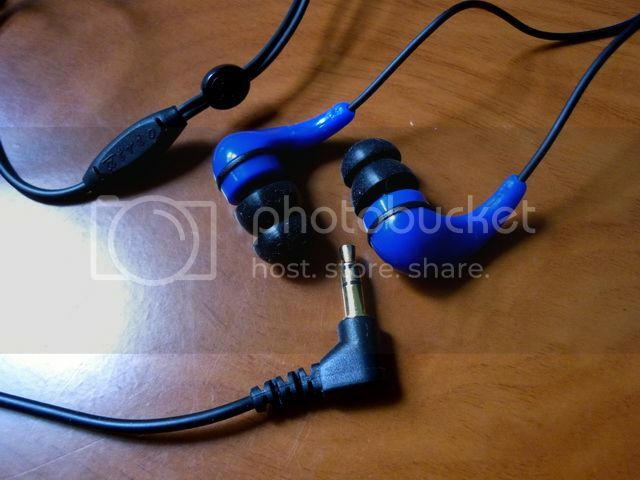 It is also a low microphonics cable, and you can wear it over the ear if you want to. Overall, the new Atrio retains the same simple and no-fuzz design from the old model and I don’t have much complaint on it. The new Atrio M5 (MG7) and old M5 rev2 look and feel identical from the outside. 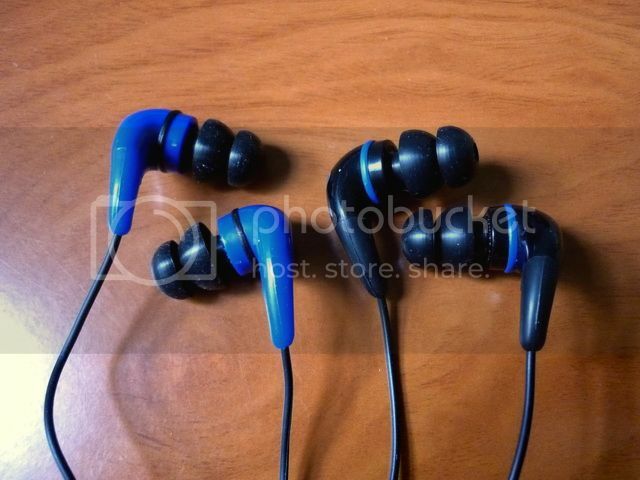 The IEM had received no less than 100+ hours of burn-in before the review. If I remember correctly, it took almost 100 hours of burn-in on my old M5 rev2 to achieve a stable sound. 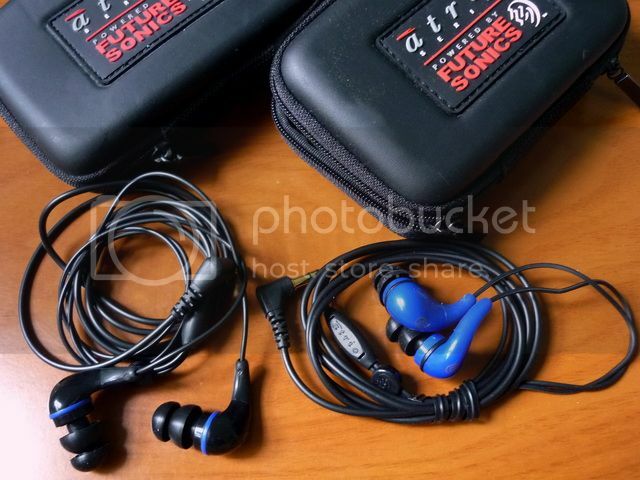 It is one of the most dramatic changes of any IEM I ever have. For that reason, I am sort of expecting the same to apply to the new MG7 Atrio. To my surprise the new Atrio sounded pretty good at first listen and the burn-in process didn’t actually change much of the original sound. I too have no complaint for that, of course. The sound signature is bass driver with a slight U-shaped frequency response. Bass is deep, strong, well textured and bodied. There are often wrong impressions on Future Sonics that they must have the (quantitatively) biggest bass around to be championed as the king of bass. But a great bass is not about just having the volume, but also the quality. Overly bloated, texture-less bass can’t be considered good regardless of how much air can it pumps. It is that careful balanced of quantity and quality that makes the new Atrio a true bass monster, as it is deep (to the sub-bass), punchy, yet retains a good level of texture and decay. Mid is perhaps one of the real weaknesses on the new Atrio. It is a little recessed, especially compared to the bass - just a little blended and lacks a good touch of texture and thickness. Then again, this is a common problem for most IEM with the same sound signature, not unique to the new Atrio. The most improved area of the new Atrio is its treble, and it comes in two folds: First, the quantity is improved as it extends more linearly to the top. Second, the overall presentation is more forward, resulting in more transparent and airy sound that better showcase the sparkles and micro-detail. While it is still nowhere near being analytical or sparkly, it is not longer as darkish as the old Atrio. Subsequently, the soundstage, perception of speed and overall imaging are also improved and much more decent than the old M5 rev2, though soundstage wise I won’t call it wide, just average with better width than depth. Compared to the old Atrio M5 rev2, the new Atrio comes with better bass rendering (lower rumble and less mid-bass bump), overall detail and soundstage. It is also more forward so you won’t get the same veiled / distanced feeling as in M5 rev2. So how about the other IEM in the same price range that is also well known for its bass response, the Radius DDM? If we only talk about bass alone, Atrio absolutely has the upper hand over DDM. Mid is where DDM really outshines Atrio, but it loses again to Atrio on treble. Soundstage wise, the DDM is more 3D and specious. If we were to consider the presentation as a whole, Atrio is perhaps just a little ahead of DDM technically; then again it is not quite as fun and musical in comparison. I won’t call anyone of them a superior sounding IEM, perhaps just different in presentation. The MSRP for the new Atrio is the same as the old model at about $200, but it is not difficult to find it on the street for around $150. This makes it a decent bargain. It is not yet a top-tier in my book, but it is definitely one of the best choices for basshead. Check out The List for ranking.